Disclosure: Information for this post is sourced by Genworth Financial. All opinions stated are genuine and my own. 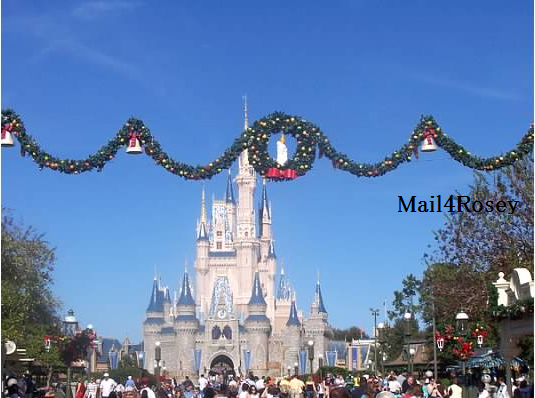 Fly to Disney for the holidays? Yes, please (once upon a time). When my maternal grandparents were alive, and then just my gram, holidays at their house in Ohio were a given. No matter where we lived (and for most of our lives it was in Florida), we made our way back to family for holidays, and we loved it! That was most especially true during the Christmas holiday season. 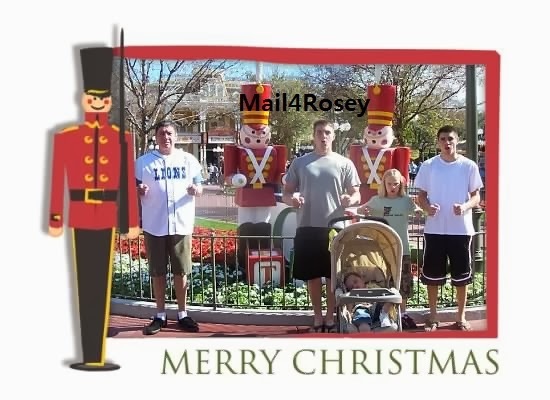 The family acting like toy soldiers at Disney World for a photo opp. When my grandmother too passed, things changed, and quite honestly my idea of a good holiday until even a few years ago was jaunting off to some great holiday destination, and taking a break from reality for awhile. We had Christmas at home (we celebrate on Christmas Eve) and took off the very next day. I don't regret those trips...we still had our big celebration at home, and then we went out and made some more great memories. Now that I am getting older and things are changing yet again, my priorities for family holiday time are once again starting to shift. The oldest is now married and lives in another state, my second oldest went out of state to go to school, and my mom...who lives in yet another state, just lost her husband a few weeks back, leaving her completely alone. The family is scattered, holiday vacations are harder to come by (as a big group) because we're spread out all over the place, and the sense of unity as we've known it during holidays, is just different. Don't get me wrong: Nothing makes me happier than to have all of my kids together in the same place with me. Nothing. And we do still get together, but it's not the primary focus of some of their lives anymore, they've got their own grown-up things going on now. And I don't like the thought of my mom being alone. So, some tough questions are coming into play. My biggest concern at the moment is my mom. What is our role in her life now? Do we offer to move her closer to us? Is it something, she and we can afford? What considerations do we need to keep in mind when contemplating what will or will not be done? I found a great article to help me sort through the information, When and How to Coax a Parent to Move Closer. The article discussed the importance of looking at such things as a cost-benefit analysis (that is not wholly financial), the cost factor to you for having a parent move closer, the need to consult with family, and one I haven't done yet but fully intend to, discussing these things and more with the parent. I am not sure yet whether my mother has contemplated moving to a new state or not. Maybe she likes it where she is? Maybe she doesn't. Maybe she needs time to adjust? What are her finances like now that shes'll be down to a single income? Does she have medical, health, and/or life insurance covered, or was her husband the one who made all of those decisions? The best part of the holidays? Good old-fashioned, never-goes-out-of-style, family time. I'm not sure what the answers are to any of those questions, but I know we'll be sitting down together to find out. If we need help along the way, and I'm sure we will, I am confident Genworth Financial will be there to help clear up any areas that need a sharper focus. This will all happen soon, maybe when we get together over the holidays, and maybe shortly after, I don't know. Until then we will be enjoying each other's company and loving the holiday season. I haven't had to face this decision yet, but it's a very important one. Thanks for sharing your thoughts. It's difficult indeed. She may be connected to where she is because of her husband. Many shared memories. It's so hard on her and you. I know a good talk about this will help a great deal. Very interesting post Rosey! It certainly gives serious food for thought. I pray that everything will work out fine. My mom lost my dad when she was a young woman and she did not marry again. I have always been with her. She has been a tower of strength for me. The loss of 3 family members has changed things over the years. I look at things so differently now but never losing hope. I wish you and your family a Happy Thanksgiving. Difficult decisions when families can be so spread out these day, and can be living all around the globe. I hope you are able to come do a beneficial decision about your mother soon. We have always lived close to our parents, so thankfully I won't have to make that decision, but I can imagine it's a very tough one to make. 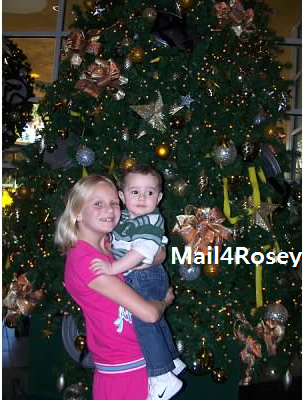 Happy Thanksgiving to you and your family Rosey! These are decisions that have to be made at some point. I hope that my husband doesn't have to do this is in a few years, I have chronic low back pain and right now I can do a limited number of things and can drive short distances. Very thought provoking - I'm really glad that my mom lives close to us it means the world to me she is so active in my kids lives. Hoping your decision is easier than you think it will be. I wouldn't even know where to begin. Knowing my family, they'll live where ever they want, and not want any assistance. I mean, my Grandma is like 70 and lives on her own in her apartment. I will live right where I am for the entire rest of my parents lives. My mother is disabled and knowing she could never get to me to see the kids is what keeps me here. Very thought provoking post! Thinking of your family on this THanksgiving. This is indeed very difficult. I guess you would have to really have a nice long talk and see if your mom is ready to have another life changing event by moving to another state. I haven't had to deal with this yet either. But it can't be too much fun. I'm glad companies like Genworth help make it a little easier. Hoping that you will be able to do what is best for you and your family. Sometimes we become faced with difficult decisions and it is really hard to know what to do. Take good care! Very thought provoking post. My mom lives 1.2 hr away. I love having her so close! This is a great post and makes you think about things! Hugs to you and yours! wonderful post...with most of the family with in an hour of each other it hasn't been too much of an issue--my Bro is the only one out of State and he's always come to Mom's for holidays- I hope your family can find something that will work for all so you can keep making wonderful holiday memories together. Its nice that Genworth can help give you some insight through articles like the one you shared. It must be difficult having family in different locations (like your Mom.) Our family is pretty much all within a half hour drive. Hope you had a wonderful Thanksgiving! We have been putting off some things like this that we need to address. Thanks for the reminder. And you and your family are in my prayers. Both my parents are gone now, but my Hubs still has his and we are going to have to make some decision soon. So hard to know what to do. That is a very tough decision! Thank you for sharing it! Fortunately I have not reached this point yet but it's coming. I will definitely read the article for some ideas. Thanks for sharing. This is truly a very tough decision to make, and I wish you the best! I used to work for a financial advisor, and he sold Long Term Care insurance, life insurance, etc. I've been trying to get my parents to look into these things for YEARS but they just can't see the big picture...I don't know what we will do when they get elderly and ill! I have been trying to get my mother to move close to me but she has so far refused. I'm going to read that article, maybe there might be some tips in there that may help my argument. Aww, I'm so sorry for your mom. That must be very hard. And hard to have family so scattered. I hope you can all make it together soon. And I hope you can all figure out how to get her to move closer to you also. I wish so much for her to be closer to me. I pray her visa will go well. Our family is scattered all over too. It's sad in a way. You just want someone to live a mile away so we can all meet up. But states away does not allow for this. Life is ...like that eh. This is something I miss of having. I live thousands of miles away from my family and traveling over there cost a lot of money, I wish I can see and be with them even ones a year. Lucky you though! Gee whiz Rosey...I can image the difficulty of trying to make the best decision in a situation like this. However, it just dawned on me as I was reading this that neither me or my hubby will have to be faced with this. Both of our mother's are deceased. They passed within a year of one another. My husband's dad is still living, but he started all over again with a with a wife & two daughter's that are younger than my husband. So, I guess they will be the ones making those decisions when it's time. I understand how you feel. I go through the same wave of emotions every single year since my husband works overseas. My in-laws went through this with my husband's grandmother. In the end she moved in with my in-laws. And when they couldn't provide what she needed she moved into an assisted living facility. She didn't like it at first but once she made friends she loved it. IT is better to plan ahead than wait until it is too late for sure. Our holidays have changed since my mom died too. My daughters are trying to get me to move closer but it's not finally wise for me to do so. This is something that won't be an issue for us for some time. But I am glad to know about this resource for when the issue does come up! Thanks for the interesting review. There is nothing like family being close with each other. I like living with my parents as of the moment but come next year, we'll be moving to a new home and i know it will be a bit tough. The holidays are tough enough at times without having to deal with other huge issues at the same time. I feel for you. However, I am confident you will find wonderful answers to your questions! Merry Christmas! These can be very hard decisions. I would say from experience, that if you can get your mom to move close to you before anything happens to her that would make it very hard to do anything, it is worth it. Often, a parent even all alone does not want to leave the house, the town, etc. However, once they make that change, they would be much happier, and better for the family who will the ones watching out for her.